Starting at 1:30 pm at the inner parking lot of the Bedford Lions Club Beach at the end of Smith’s Road, off the 102 at Hammonds Plains Road. Bob Guscott is leading a forest walk around a portion of Sandy Lake. It is expected to last 1.5 hours minimum. It will be an informative walk (not a hike). Karen Robinson of the Sandy Lake Conservation Association will talk about the efforts being made to protect Sandy Lake and Environs, and Jenny Lugar from Our HRM Alliance will talk about how Sandy lake and Environs relate to Halifax’s developing Green Network. Bob is a naturalist and forest ecologist who retired in 2009 from the NS Dept. of Natural Resources after 30 years as a Chief Technician and Forest Health Specialist. 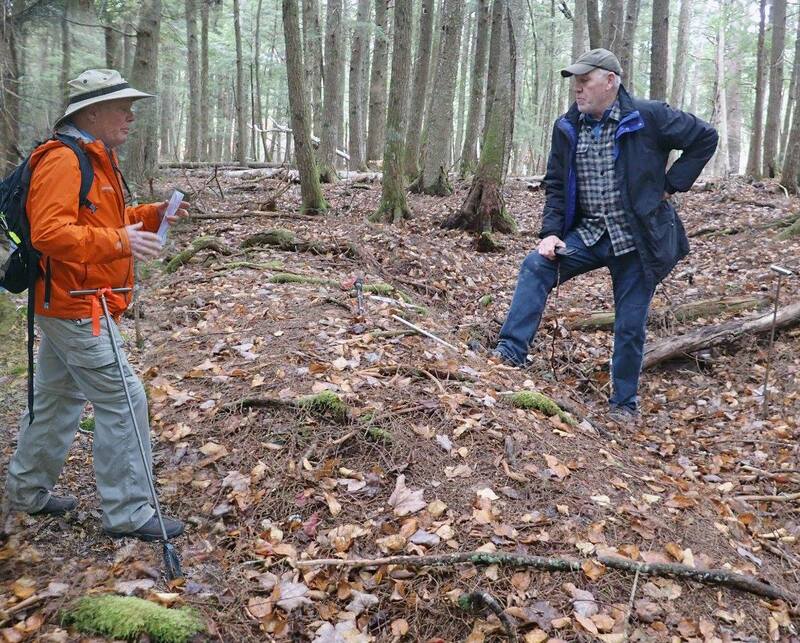 Bob and David P are collaborating on studies of pit and mound topography at sites on Sandy Lake and Grand Lake. This entry was posted in Talks & Walks. Bookmark the permalink.